Are you looking for a complete guide on how to create a successful WordPress blog for free? Well, you’re in the right place! In this tutorial, we’re going to make you familiar with an easy step-by-step guide which will let you create a beautiful and functional WP blog. WordPress is a globally renowned blogging platform which allows you to publish your articles for free. However, your blog will be part of WordPress domain until you choose paid domain name and self-hosted WordPress. Example of a blog hosted on WP is: http://myfirstwpblog.wordpress.com. Setting up a blog on WP is not a rocket science at all. Just 5 steps and you are all set to share your thoughts and creativity with the world. 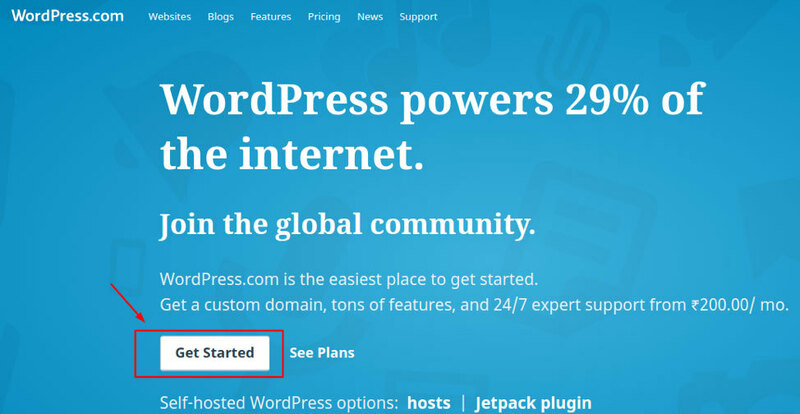 All you need to do is go to WordPress.com and click on ‘Get Started’ button. It will take you through the starting process of creating a blog. If you need more help and are looking for a more detailed explanation there are all sorts of amazing tutorials online on how to start your own WordPress website such as Be Your Own Boss: Learn to Build a WordPress Website in 1 Day. In this guide, we will be doing this with you. Choose a blog address or domain name. A clear and eye-catching homepage layout plays an important role in the success of a blog. A good layout offers users easy access to your site and helps them find your web content more easily. When it comes WordPress blog, there are four options for homepage layout i.e. As a beginner, you may get confused which layout you should go with. However, we recommend ‘A list of my latest Posts’ as it is most popular layout format for a blog. This layout format displays your recent work which makes your audience find your recent work easily. If you are a creative blogger or photographer who frequently posts, then you must go with this popular WordPress homepage layout. However, if you want to create a blog for business, ‘A Welcome Page for My Site’ and ‘An Online Store’ should be the most appropriate layouts for you. Your blog reveals your thoughts and personality. And when you pick an appropriate theme for your blog, it gives your audience a significant first impression of both. A theme is what you blog looks like. One of the major advantages of setting up a free WP blog is that there are numerous free themes and templates available right through your WP dashboard. You just need to click on ‘Presentation’ tab available on dashboard toolbar. Then choose ‘Themes’ to view a variety of themes you can choose from. Try different WP themes and see which matches the best with your blog. Every theme has a different set of customization options. For instance, some themes will offer you custom header while others may offer different widget customization. In short, you can do fun experimenting with the wide options available to you. Don’t worry, you may change your blog theme anytime using the File transfer protocol. FTP is a technology, which lets you send and receive and edit files directly rather than accessing the whole website. Feel free to read more on how to use FTP. Tips to choose the right WordPress Themes. Don’t pick a complex theme as people are accessing your blog to read your content. Make sure the theme you pick is fully responsive so that your blog looks the same when viewed on different browsers. The functionality of WordPress relies on its plugin. WP plugins allow you to customize and create your blog the way you want. So choose the theme that supports all popular WordPress plugins. As SEO plays a critical role in creating a successful blog, always go with an SEO ready theme. Make sure it is fully SEO optimized. As a beginner, it can be a little challenging for you to pick an accurate blog address or domain name. As it can be a hassle to switch domain name, later on, it is important for you to choose the best domain right from the beginning. You should be more careful while choosing the domain name as it can impact straight your search engine rankings and brand name. As said before, free WordPress blog extension generally ends with ‘.wordpress.com’. Therefore, the name you pick for your audience to type into their browsers to view your blog should be followed by this extension only. While the domain name you pick can’t be changed later, but you can edit the name of your blog at any stage. Since WordPress is a global platform used by millions of people across the globe, finding the unique yet full of value domain name for a blog can be difficult. Most of the popular WordPress.com domain names are already taken, you may have to try different names to get the right one for you. Do you need to buy a domain Name? Don’t worry you need not to buy a domain from WP in order to use their blogging platform. However, if you want to give your blog a professional feel you may consider buying a separate domain name. What blog name should you choose? Keep finding until you find something easy to remember and pronounce and spell. Make sure it is short and brandable. If you can’t decide, you may also go with your real name as numerous popular bloggers have their name in the domain. Make a research about your business niche and then choose your domain. Once you are done with all the basic steps mentioned above, including choosing your blog address or name. Next, you need to click on the ‘Select Free’ button if you want to create a free WP blog. There is no need to pick the paid version until you find your business has grown enough. 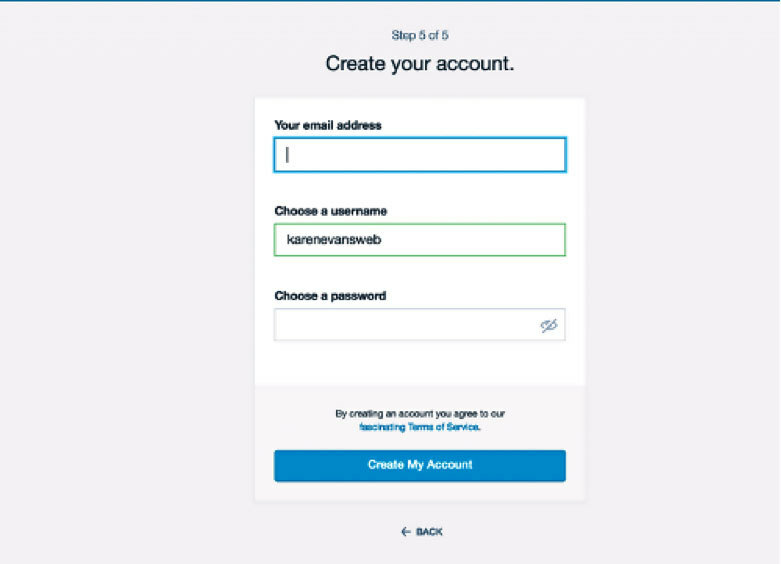 E-mail Address-You may use any of your personal email ids. For instance, your Gmail account. Username- You can choose any username of your choice. You may use your personal name as username but in case if it is not available then you can add some number to make it unique. As it is not going to be your blog name, so it rarely matters what you pick. Password-It is crucial to choose a strong password so that hackers can’t crack it. We suggest you use special characters like ‘&’, ‘#’, ‘!’, and “^^” in your password. Once you have logged in, you can access WordPress dashboard, which is quite user-friendly and straightforward. Before starting the blog, if you need to change the theme and design of your blog you can do so by going through Appearance-> Themes option available at the left sidebar of the dashboard. 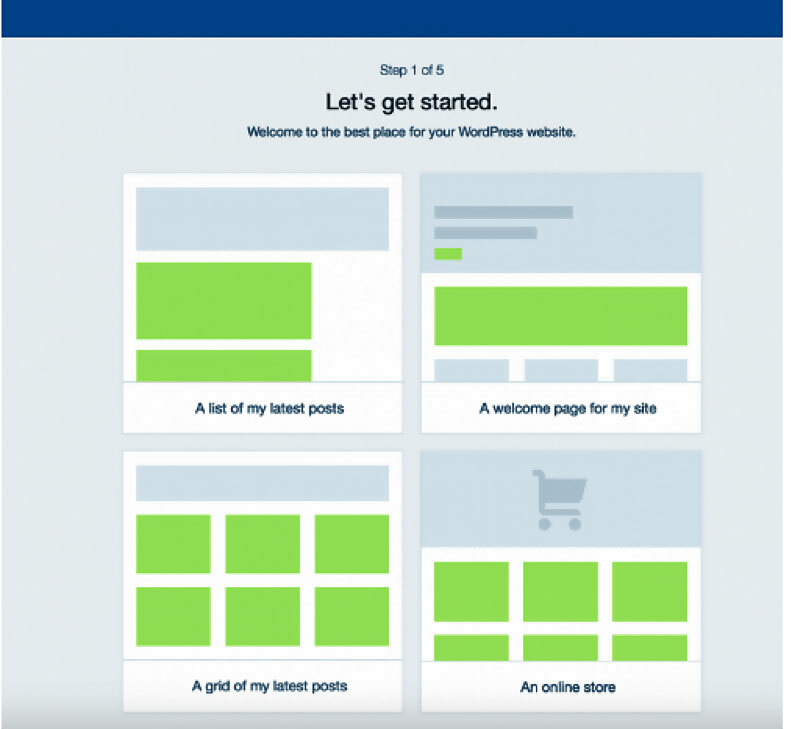 WordPress comes with a variety of options for themes (Both paid & free). 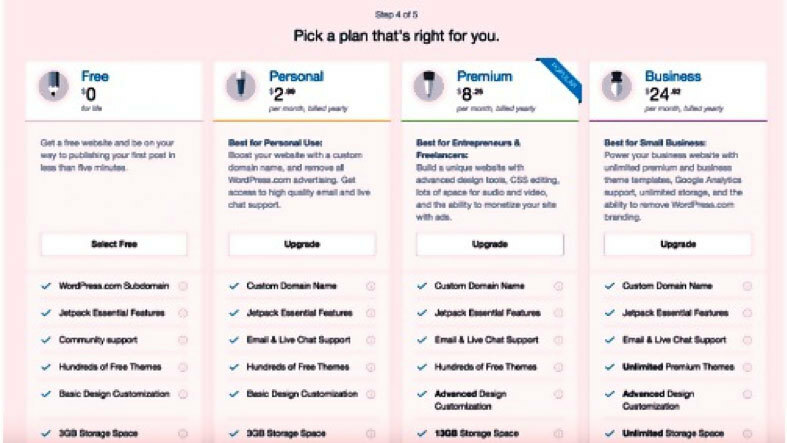 However, you may go with free themes first as you have an option to upgrade it anytime you want. To add a page on your blog, you need to use the dashboard option. Go to the ‘Post’->’New” to create a page. You may create different pages such as ‘About Me’, ‘Contact Us’, ‘Popular Posts’, etc. To create a first blog post, you have to go through ‘Post’-> ‘Add new’ and you are ready to write your first blog. On title section, you have to write the title of your post and below you can write body text. In addition to this, if you need to add picture and videos, there are options for the same as well. Once you post is complete, hit on ‘Publish’ button available on the right corner your dashboard. To make your post more searchable in search engine results you can add some tags. However, you shouldn’t expect overnight success. Most new blogs don’t get much traffic at first. You will have to promote it, share it and regularly update it. There are a lot of things you should do right from the first day of your blogging to make your blog a successful blog. Here are some tips for you. You have made the first big step by creating your blog. However, to manage and promote it effectively, you need to update it with a fresh quality content on a regular basis. Create an engaging and useful content, the audience should wait eagerly for your next post. Moreover, fresh content is also important from search engine point of view. Search engines love fresh content and often give a good ranking to sites that update their content frequently. Promote your blog on popular social media sites such as Google +, Facebook, Instagram, Twitter. You may encourage your friends and visitors to share your content as well. No matter whether it is positive or negative, if a reader is engaging with your content, you should respond to his comment. Not only share your content on social media platforms but also create an official social media page of your blog. Social media is great option to engage with the audience. Moreover, social media sites come with features like RSS Feed, Timeline, etc. which make any content viral. So go get benefit out of them. To improve your audience base and search engine ranking, it is necessary to follow some actionable SEO techniques. Every time you write content, make sure it includes you major keywords as they are high on algorithm chart for ranking. So always optimize your content accordingly. In addition to this, you can also practice getting quality backlinks for your blog from some reputable blogs on the web. Use free Google tools such as keyword planner to get an idea on selecting keywords for your post. Creating a free WordPress blog is not difficult at all. You can setup it easily in just 5 steps and the entire process takes not more than few minutes. However, to make it successful, you need to follow a strict strategy as mentioned above. Having some help getting set up can never hurt – so why not check out these support options from WP Buffs? If you have any questions, feel free the share them via comments in the following comment section.